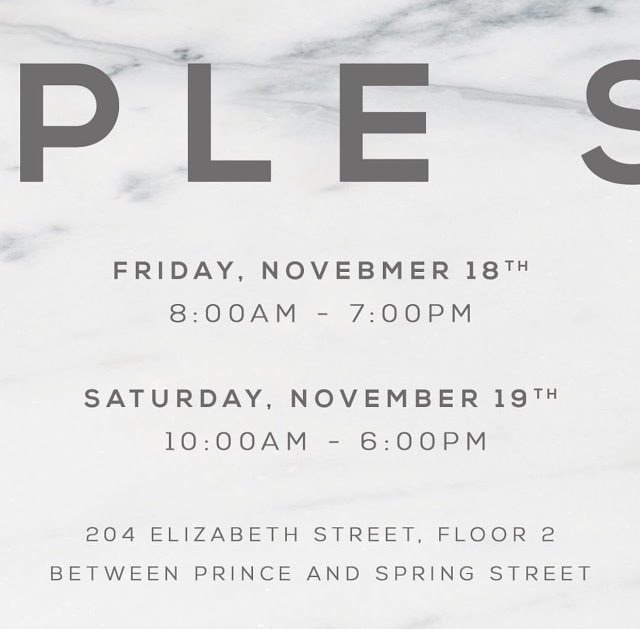 Home » sample sale » Bargains With A Side Of Sparkle! Bargains With A Side Of Sparkle! There are so many sample sales this month that it can feel overwhelming. 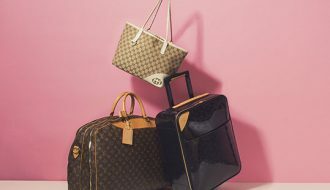 Even I can barely keep track of all the action so in an effort to keep things better organized I’ve put together a list of all the incredible jewelry sales that are taking place this week. Yes! This week alone there are eight different sales and trust me you won’t want to miss them. 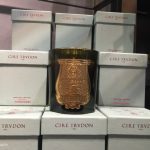 From my favorite sample sale and designer, Eddie Borgo to the dirt cheap bargains at Gerard Yosca, luxury finds at Bvlgari, and beyond. See where you should be shopping this week. Whether in search of holiday gifts or just a little something for yourself, jewelry is always one of the best options. Factor in 90% off discounts and dirt cheap prices and we’ve got ourselves some hefty holiday bargains! 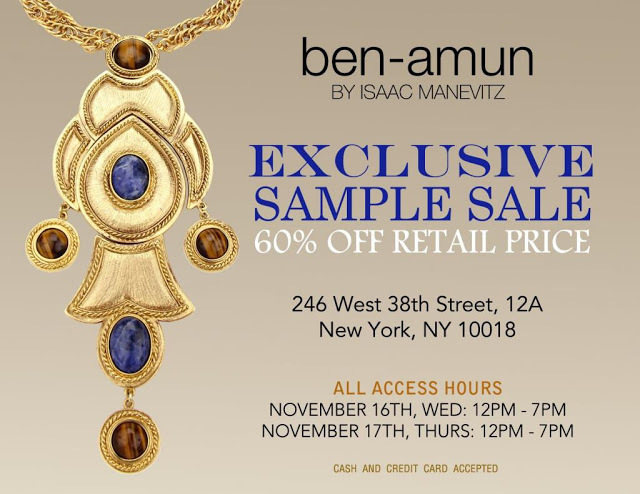 Below are two absolute must-shop events along with all the other jewelry sales happening in the next few days. 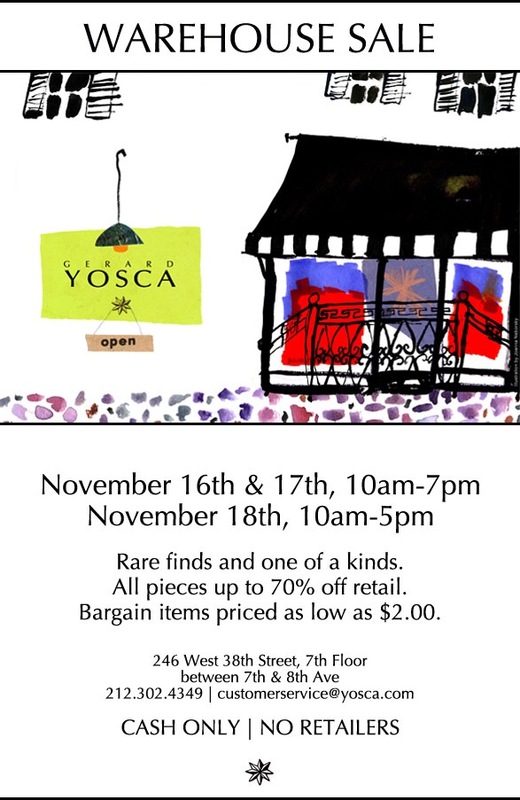 Gerard Yosca‘s CASH ONLY semi-annual sample sale opened yesterday with a great selection of specially marked items. His studio manufactures jewelry for many popular retail chains and online outlets like Banana Republic, Black House White Market, Coldwater Creek, and others. Of course buying the jewelry at the store isn’t exactly that cheap. It’s not Tiffany’s prices  but $90 for a Banana Republic necklace can seem pricy. Guess what though? 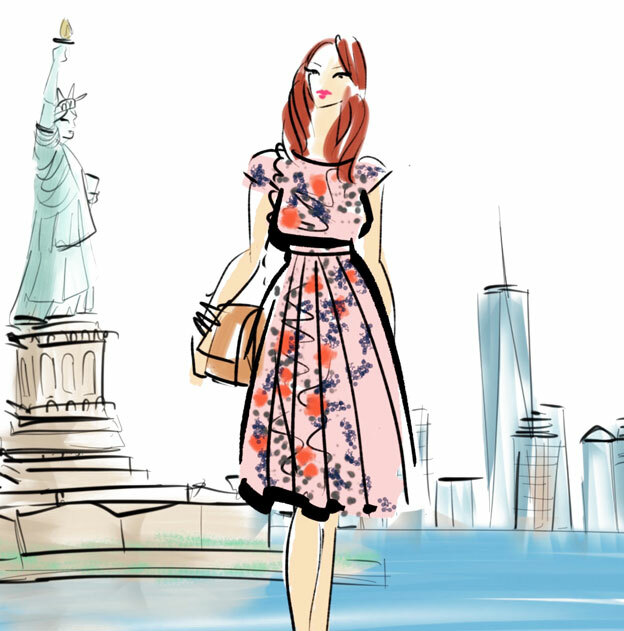 We’re New Yorkers! And we never pay retail  Instead we go to sample sales and buy our jewelry for under $10. 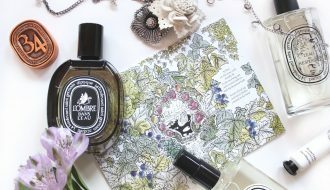 Prices on most of the bargain offerings range from $1 to $8 and you can read my report from previous sale for more info. Yosca’s eponymous line on the other hand is quite a bit pricier although the discounts do reach up to 80% off. My advice is to stick to the bargain bins and stock up for the holidays. 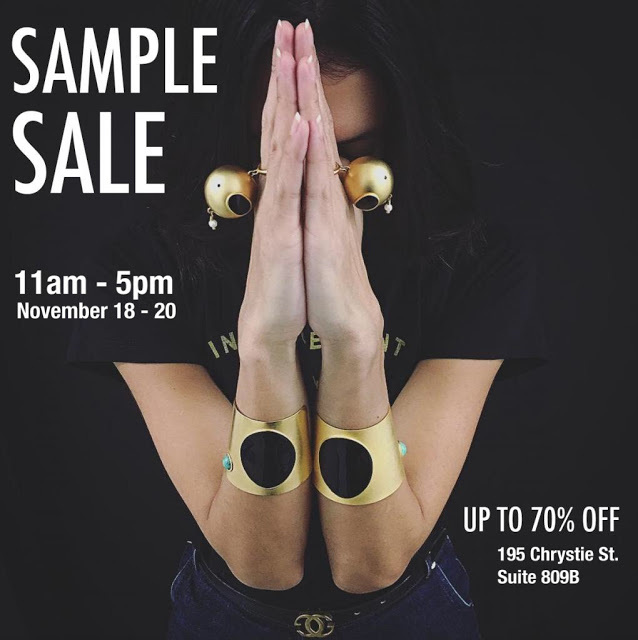 On Friday my favorite sample sale of the year returns! 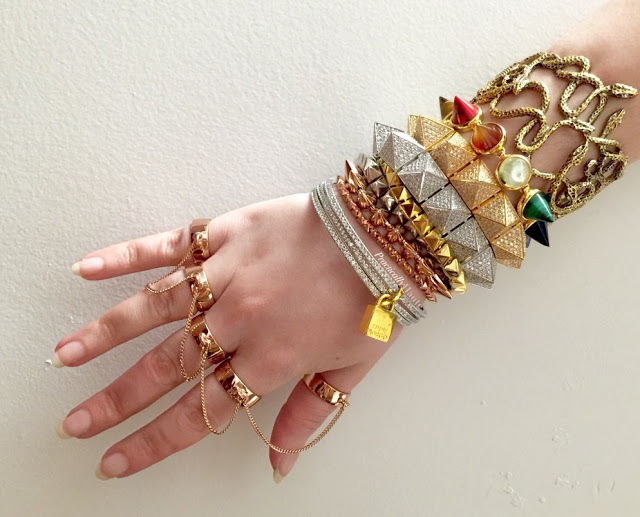 I am of course talking about Eddie Borgo, who’s designs I am utterly crazy about. The sale usually features several bins of “damaged” merchandise for $5. Now don’t be deterred by that word because if you look at my reports from the previous sales you’ll see what amazing pieces I scored and just how easy it was to fix all of them. The stock prices are great as well with small tennis bracelets going for $20 and large statement arm candy for $40. 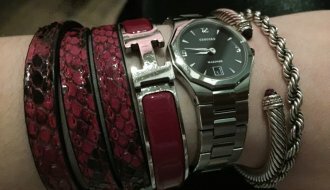 The most expensive jewelry items top out at $75 which is still 90% off retail in most cases. The sale gets restocked through the day so don’t feel too bad if you can’t make it there for the 8am opening. 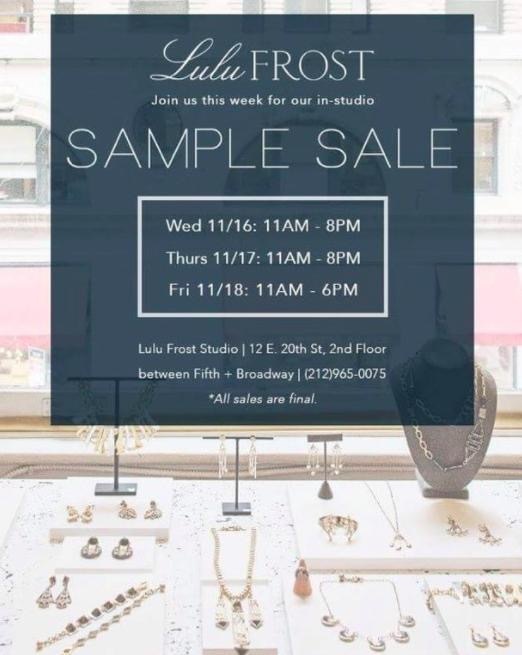 If that’s not enough to feed your bauble addiction I have six other sample sales for your consideration. 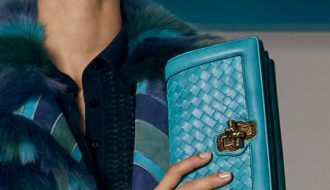 Luxury lovers will want to check out the Bvlgari sale at Soiffer Haskin. 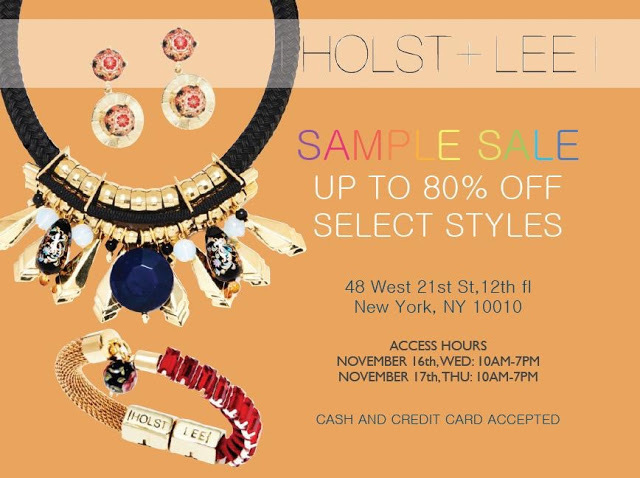 Fans of costume jewelry have the choice of Lulu Frost, Ben Amun, Holst & Lee, and Paula Mendoza. 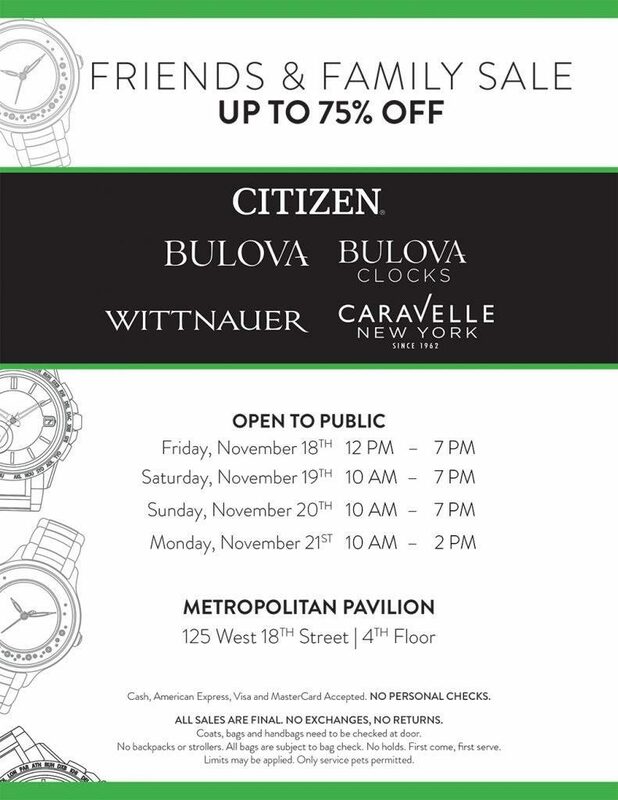 If watches are more of your thing or you need some holiday gifts for the guys then you should head to Metropolitan Pavilion for the annual Bulova wach event feauturing Citizen, Bulova, Wittnauer, and Caravelle. 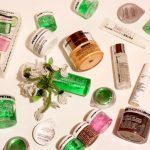 So which sale is at the top of your list?